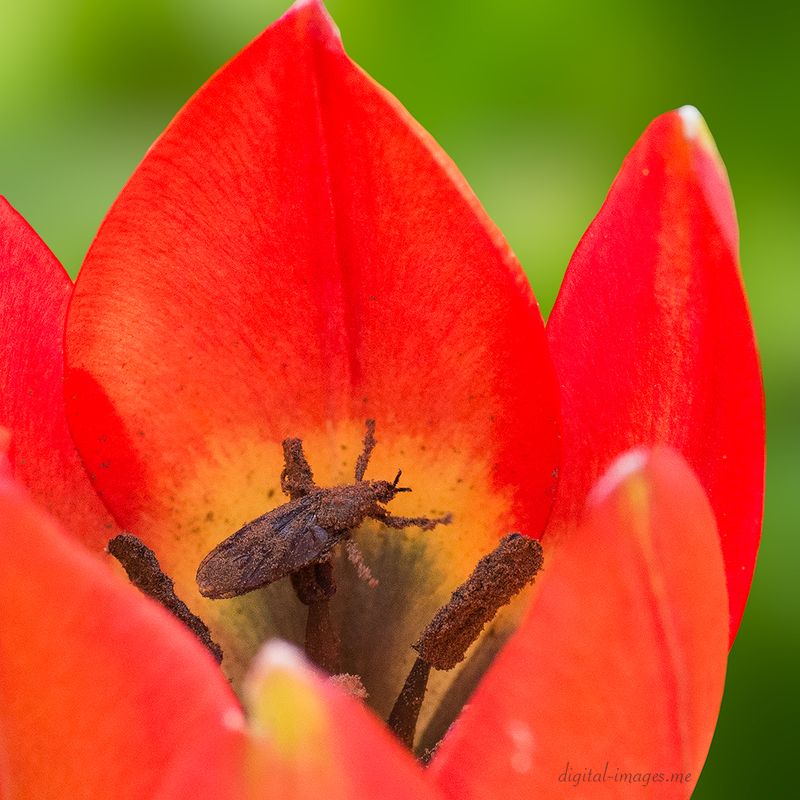 Digital Images » Daily Photo » Carnivorous Tulip? Earlier this afternoon I was snapping away in the garden and thought I’d take some shots of some of the remaining Tulips. 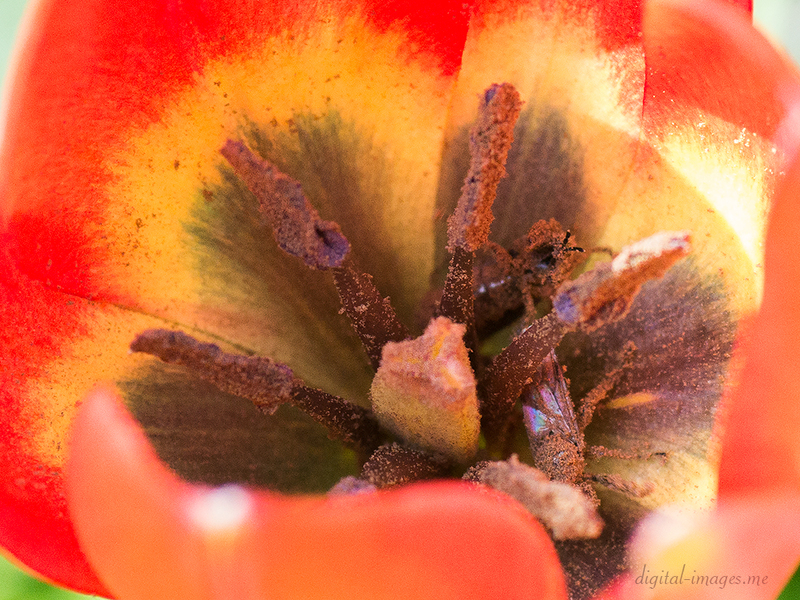 When I started to get closer I noticed two flies covered in pollen inside one of the blooms, looking as though they were trying to get out of the flower but it seemed as if they were unable to escape. 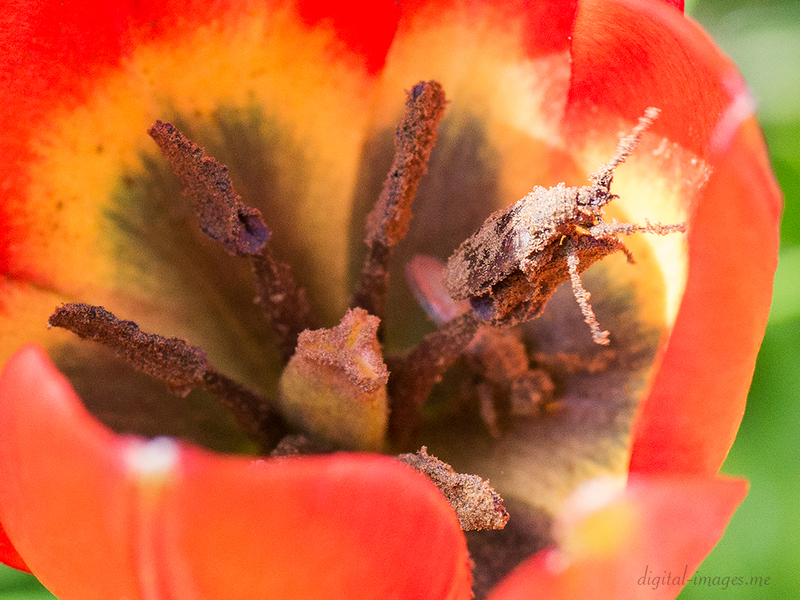 It was almost like watching one of the carnivorous plants catching it’s prey, hence the title, carnivorous Tulips. 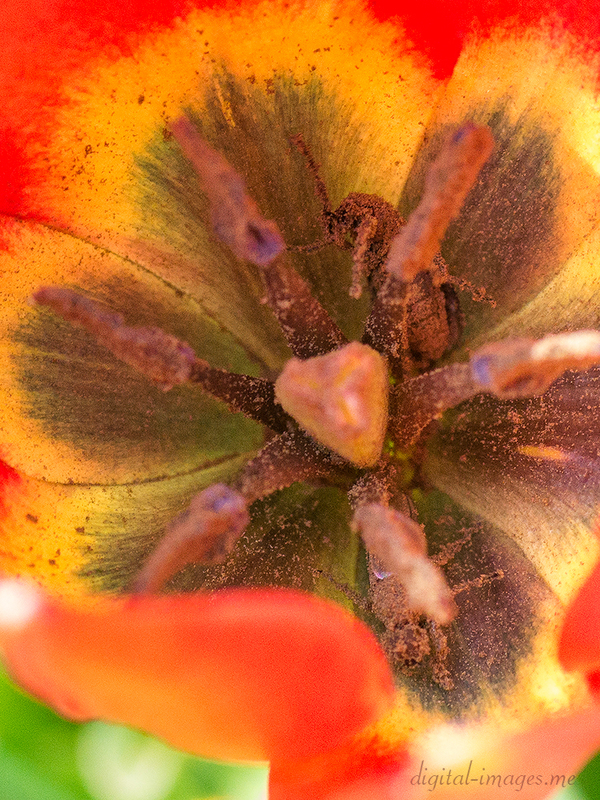 Tagged Alan Baseley, Bulb, Close-up, Digital Images, Flower, Fly, Insect, Pollen, Tulip. Bookmark the permalink.